Frost Blades is a melee skill that shoots a cone of projectiles behind the first target you hit. This is why the skill is great for clearing and also has respectable single target damage potential. Touch of Anguish unique Claws have great synergy with the skill, since they allow the projectiles to chain, resulting in even greater area coverage. The ascendancy of choice is Raider; this class has great synergy with Touch of Anguish. With this ascendancy, Frost Blades becomes a very fast map-clearer without any expensive investments. Dealing mostly cold damage and playing a critical-based build means you will Chill and Freeze enemies most of the time, which will keep your character safe. For sustain, you have a lot of leech via the Claw passive node Soul Raker. The build is also able to achieve over 180% Increased Maximum Life on the passive skill tree, which results in a respectable life pool. The Frost Blades Raider can be played on a budget, with the potential to become very powerful if you choose to invest vast amount of currency into the build. Early on, two threshold jewels Fight for Survival will allow you to penetrate 30% Cold Resistances. Touch of Anguish is your endgame weapon, which should be cheap, even in the start of a new league. Loreweave is a good addition to the build, but you can play without it early on. A pair of Tombfist gloves will carry you a long way. Offensively, attacking with Frost Blades will result in a massive amount of chaining projectiles that will clear whole screens of monsters. When it comes to fighting tougher bosses, you can utilize a totem, banner and cold resistance reductions like Frost Bomb. For mobility, you should use Whirling Blades all the time. Hatred and Herald of Ice will provide a lot of damage. Defensively, keeping your distance is key, considering from how far the skill can attack. You will rely on Acrobatics and Phase Acrobatics’ dodge chance as a main defensive mechanics. When you get hit you will have a decent amount of life to soak the damage, then you will be able to recover it with life leech and life gain on hit. The Frost Blades Raider can easily achieve over 7 Frenzy charges, which makes the build extremely fast and fun to play. You will feel very mobile and shattering enemies’ with your cold hits is always satisfying. Once you become a bit more experienced with the skill, you will rarely get hit. Way of the Poacher provides a great Frenzy charge sustain mechanic. Avatar of the Slaughter improves the benefits of Frenzy charges even further. Quartz Infusion will allow you to utilize the Phasing mechanic, which will make you even harder to detect and hit. 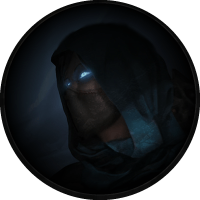 Avatar of the Veil gives the very important elemental ailment immunity while Phasing, which is very powerful, since you will not have to worry about getting Shocked, Frozen or Ignited. Note: For even greater clear speed you can choose to go with Avatar of the Chase instead of Avatar of the Veil. This is what your endgame passive skill tree should look like. We mainly focus on picking all the powerful Claw nodes, all the Frenzy charges, Acrobatics, Phase Acrobatics, Point Blank, and a decent amount of life. As in all critical-based builds, we recommend transitioning into critical strikes at level 60+. For this specific build we should help Alira in Act II. The critical multiplier, flat mana regeneration, and 15% all elemental resistances are stronger than the 2 passive skill points. Major: All major pantheons can be used based on personal preference, but we recommend using Soul of Solaris. To fully upgrade the Pantheon, capture The Gorgon in Sulphur Vents Map, Jorus, Sky’s Edge in Temple Map and The Infernal King in Caldera Map. In order to do that you need to have Divine Vessel in the Map Device while you are activating the particular map, then just kill the map boss and give the captured soul in the vessel to Sin in Oriath. Minor: for critical-based attack builds Soul of Ralakesh is probably the best minor got, since he can provides Blind immunity. Capture Drek, Apex Hunter in Fields Map in order to upgrade this Pantheon power. Frost Blades is your signature skill, which should ideally be used in a 6-Link. For mobility, you should use Whirling Blades. Hatred and Herald of Ice should be active all the time. War Banner provides a good amount of accuracy; this skill will boost your single target damage potential by a great deal for a short duration when you drop the banner on the ground. Ancestral Warchief can be used to augment your single target damage even further. Frost Bomb can be placed on the ground to lower enemies’ cold resistances. Blood Rage will provide % increased attack speed. Frost Blades is a very fun melee skill to use, its initial hit will only damage one target, the projectiles that appear behind the target will destroy whole monster packs. Combining this skill with Ancestral Call Support will result in three times more projectiles. We recommend two different links for both clearing and single target. For single target, use the following link. Whirling Blades will improve your mobility by a great deal. Hitting enemies with the skill will give you the Fortify buff for a short duration. Immortal Call and Enfeeble will be triggered with the following gem setup when you get hit. This is a decent layer of defence for the build. You can socket in Blood Rage for additional attack speed. Hatred and Herald of Ice will give you a lot of cold damage. Ancestral Warchief can be used for the damage multiplier while it is active. War Banner will help out with its Adrenaline buff. Drop Frost Bomb on the ground against tanky enemies. Capping your elemental resistances is essential and it should always be your top priority in any build; it should be the first thing you do when gearing up a character. Obtaining a 6-link, while very powerful and certainly recommended, can potentially be very expensive (requiring an average of 1500 Orbs of Fusing, obviously depending on your luck); as such, this should not really be a goal for you while gearing up, and you should instead settle for a 5-link until you have enough resources. You should have two Fight for Survival unique jewels as soon as possible. Acquiring two Touch of Anguish Claws will allow you to start destroying content. These are the only mandatory items for the build. Diamond Flask is mandatory in every critical-based build. Divine Life Flask should used as Instant or half-Instant along with Bleeding Removal suffix. Atziri's Promise can provide a lot of damage for the build. Taste of Hate can provide a lot of offense and defense for the build, but can also be expensive. The Wise Oak will help you penetrate enemies’ Cold Resistances better, make sure your Cold Resistance is the highest if you choose to use this flask. You can also use any utility flask you prefer, just make sure you have Freeze, Bleed and Curse immunity flasks until you get Avatar of the Veil. You will need two Fight for Survival threshold jewels. A Watcher's Eye with Hatred mods can provide a lot of damage, this jewel can also be very expensive. The Frost Blades Raider can be leveled with its signature skill since level 1, the build is also a decent league-starter, although you might struggle until you get Touch of Anguish unique Claws. This is the passive tree, which will get you through the leveling content. First, you should head to Winter Spirit, Primal Force, Acrobatics, Forces of Nature and Revenge of the Hunt. After that you should head to Thick Skin, Druidic Rite, Point Blank and Fangs of Frost. You should also pick up the Frenzy charges once you are confident you can sustain them. As you begin a new character, there are few unique items that can boost your power exponentially. Tabula Rasa allows you to have a 6-Linked skill as early as you get the gems. Wanderlust gives a decent movement speed, which will make your leveling that much more efficient. Goldrim provides a lot of elemental resistances, this will let you worry less about gearing when approaching certain Act encounters. Unique Claws like Last Resort, Al Dhih and Ornament of the East will carry you through the leveling content. At level 4, you should add Ancestral Protector, War Banner and Frost Blades for better single target damage. Your Frost Blades should look like this. At level 8, your Frost Blades should look like this. At level 10, you should add Whirling Blades for additional mobility. At level 16, you should add Herald of Ice for additional damage. By level 18, your Frost Blades should look like this. At level 24, you should Hatred for additional damage. At level 28, you can replace Ancestral Protector with Ancestral Warchief. By level 31, your Frost Blades should look like this. Elemental Reflect is impossible to do; you can do Physical Reflect without any issue since you fully convert to cold. What content is the build good at and what it is bad at? The Frost Blades Raider excels at clearing super fast; this build is a top-tier clearer. It is bad at running Labyrinths, and it is also slower when fighting tough bosses, compared to boss killers. The Frost Blades Raider is a dual wielding Claw build that excels at striking the enemy with strong cold attacks. The build requires fast reactions and is very fun to play. Hey Atix, thanks for the comment. The trees are fixed now, sorry for the inconvenience. We were forced to update most trees before the launch by using poeplanner, which turned out to be an unreliable passive skill tree source. We will be replacing all links with the original PoE passive skill trees soon. Hi, for Frost Blade build, Raider is better than champion ? They are both good choices, Raider has better clear speed and mobility for sure, Champion can have better survivability.